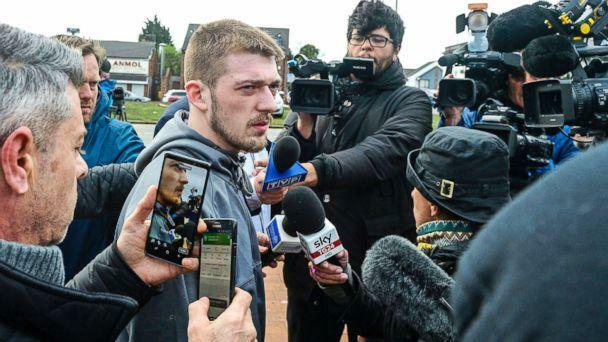 Alfie Evans, the terminally ill British child who gained international attention due to a series of court cases surrounding his removal from life support, has died, according to his family. Thomas Evans, the father of 23-month-old Alfie, announced his son had died in a Facebook post at about 6 a.m. British time. The post already had over 41,000 interactions and 23,000 shares within an hour of Thomas Evans' posting the news. Thomas wrote, "My gladiator lay down his shield and gained his wings at 02:30." Alfie suffered from a neurodegenerative disease that ravaged his brain and left him hospitalized in a neonatal intensive care unit in Liverpool since December 2016. The hospital decided in December 2017 there was no chance for recovery and moved to remove Alfie from life support -- a decision challenged in court by his parents. The court sided with the hospital. Despite objections from his parents, Thomas and Kate, doctors at Alder Hey Children’s Hospital removed Alfie from life support on Monday. The boy continued to breathe on his own, but his parents and their supporters worried the decision would end his life. The case drew the attention of Pope Francis, who offered to fly the child to Rome and care for him at a hospital in the Vatican. They even went as far as to grant Alfie Italian citizenship so he could remain in the country. A court ruled on Tuesday that Alfie was too sick to be taken to hospital at the Vatican and nothing had changed since the previous ruling. High Court Justice Anthony Hayden dismissed the parents' case, saying his ruling was "the final chapter in the life of this extraordinary little boy." Protesters, nicknamed "Alfie's Army," had taken up the boy's case, and even tried to rush the hospital after he was taken off life support. Alfie had even gathered supporters in the United States, including many prominent conservatives. “It is a sad irony that while the people of the UK are busy celebrating a royal birth, its government is brushing off a commoner’s right to life,” Sen. Ted Cruz, R-Texas, tweeted earlier this week in reference to the birth of the Princess Kate and William's baby and Alfie's removal from life support. Former Speaker of the House Newt Gingrich took up support for Alfie's parents as well, tweeting, "The British government’s decisions to allow two critically ill babies to die in two years is a natural reflection of the culture of death and the steady increase in totalitarian tendencies among Western governments." Gingrich was referring to the death Charlie Gard, who died in July 2017, in a similar case to Alfie's.